Doctor Who: What Did Russell T Davies Ever Do For Us? | Warped Factor - Words in the Key of Geek. Doctor Who: What Did Russell T Davies Ever Do For Us? Tony Fyler assesses the impact of Russell T Davies. 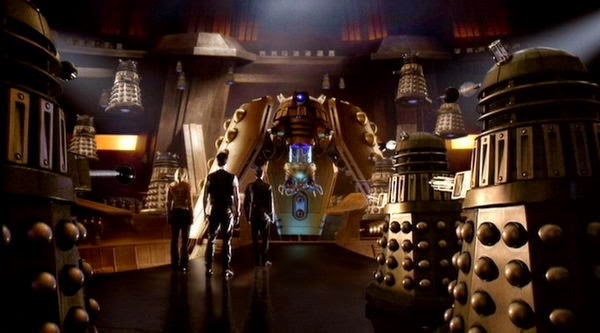 As we celebrate ten years of New Who, and current showrunner Steven Moffat divides an expanded fandom, it’s important to remember that Russell T Davies was also roundly criticized – for his ‘soapification’ of the show, for the romantic storylines, for the ‘Deus Ex Machina’ solutions, and for a hundred other things. So as we celebrate what we have and what we’ve had for the last ten years, it’s probably time to ask, a la Monty Python, what has RTD ever done for us? Make no mistake, the idea of revamping Doctor Who was a poisoned chalice. No-one wanted to potentially put their career on the line by taking charge of a show that could easily have exploded in their face had it failed to catch the popular imagination in the 21st century. 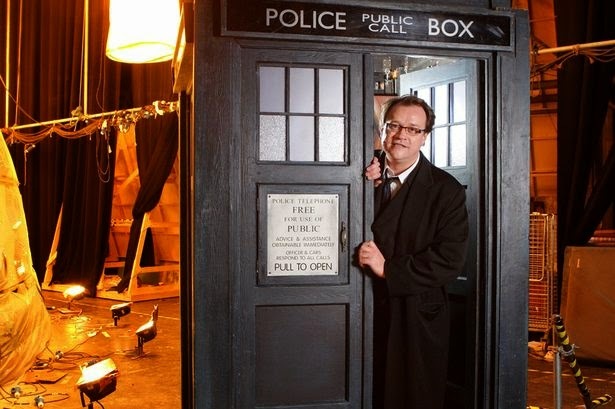 Russell T Davies was the man who said ‘This can work – and I want to do it.’ Without that idea, that Doctor Who could be viable in the world of 21st century TV, nothing that followed would have been possible. Davies’ standing as both a writer and an executive gave him – and through him, gave the new Doctor Who Production Team – more clout than the series had ever had before. In particular, Davies’ standing as a writer of serious, modern, off-beat drama changed the initial view of what a Doctor Who revamp would be, to a point where journalistic ears pricked up all round the UK. If Davies was doing it… could it work? Davies cast a leading actor who was, if anything, more ‘seriously’ regarded than he was himself. In launching 21st century Doctor Who with Christopher Eccleston as the runaway Time Lord, he sent another message – this is not Doctor Who as you remember it: if it was, Chris wouldn’t be involved. Tune in, check it out. He also established, both with that central piece of casting, and by others throughout the first series, that Doctor Who would be a show – as it used to be in the Classic era – that would only benefit an actor’s CV. He set a trend that serious actors to take the lead, making the role of the Doctor into a ‘star vehicle’ for some of the most talented actors of a generation, but he also ensured that the show could pull in both theatrical and movie heavyweights (John Barrowman, Derek Jacobi) and pop culture stalwarts (Billie Piper, Catherine Tate, Kylie Minogue, Sarah Lancashire), while also feeding a new generation of actors with roles in which they could make their initial marks on the public imagination (Carey Mulligan, Andrew Garfield, Eve Myles, Freema Agyeman). With the best will in the world, Classic Who scriptwriting, with its usual four-part stories, each of which needed a cliffhanger, meant the companion spent a lot of time screaming, getting captured and rescued, and occasionally when the story demanded it, twisting their ankles and falling over. They also, for the most part, left their lives entirely behind when they stepped into the Tardis, in a way that was perhaps more classically fairytale than 21st century believably dramatic. 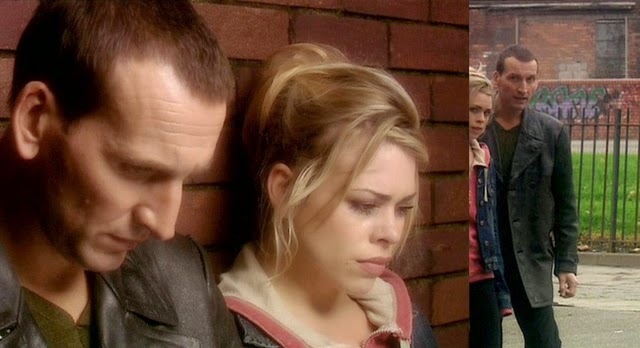 Davies put a stop to such flat characterization – right from the word go, Rose proved that the new companions would be people – proper, rounded people, with lives, and attachments and skills of their own. 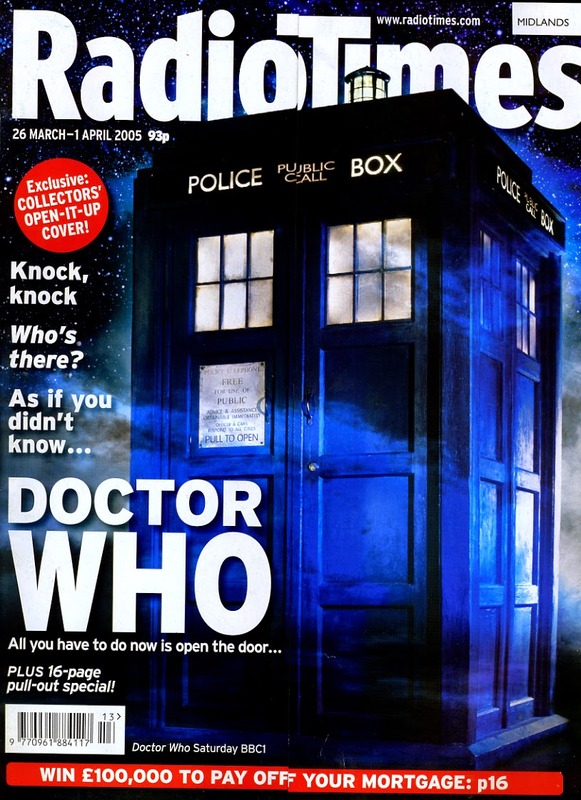 This not only allowed them to be believable as real people for a much broader audience (including a previously untapped female audience whose attention was grabbed by the realisation that modern companions were not just screaming girls), but in cases like Mickey Smith, Jack Harkness and Donna Noble it allowed the companions to have a development arc all of their own, to be improved, or changed, or even horrified by their time in the Tardis and what it showed them. Such an equality of characterization was a Davies masterstroke, because it fundamentally expanded what Doctor Who could be. When people thought of Doctor Who, they used to think instantly of wobbly cardboard sets and dodgy blokes in monster costumes and the horrible use of techniques like CSO to completely puncture the drama and make the programme look just a little bit silly. Classic fans (including me) will argue that this is an unfair representation, but it was a distinct public perception and watching shows like Underworld, or Creature from the Pit, or Nightmare On Eden or even Kinda or Time and the Rani shows where it came from. Davies demanded the effects and the monsters should look as real as anything in American competitor shows in the 21st century, and by and large he got his way – there will always be an Absorbaloff, or a Scribble Monster or a Slitheen just waiting to pop out of Doctor Who’s closet – to some extent, an occasionally naff monster is as much a part of the show as the Police Box Tardis – but Davies’ strong line on diminishing or destroying that element as ‘The Thing’ people remembered about Doctor Who has largely meant that it’s no longer what the show is most known for. Davies was instrumental in setting up tone meetings for the new series’ episodes, to ensure there was an internal consistency within the episodes that showed the viewer essentially what they were watching. He also helped develop the idea of a series tonal balance, mixing gritty drama with comedy, full-pelt running with moments of reflection, to ensure that 21st century Doctor Who worked principally as a modern drama, accessible to everyone prepared to spare it their eyeballs for the length of an episode. Without such discipline, bad things had happened to good stories in the Classic era, but in the New Who era, it would be very rare to spot particularly glaring, experience-ruining tonal glitches. It was Russell T Davies who established in a new, accessible way what the character of the Doctor, and what the show itself would be about. From removing Gallifrey to make the Doctor more mysterious, to showing the Doctor as adhering to a strict personal moral code throughout his incarnations – Terrance Dicks’ ‘never cruel or cowardly’ – Davies helped centre the vagabond Time Lord in characterization, rather than simply the sketch of a role, which arguably it had been since 1963. He still allowed for the actor to bring their own shades of performance to the role, and for the renewing power of regeneration, but it was Davies who pulled off the contradictory double of making the Doctor both more mysterious and more clear in the public perception that he had ever been before. Another of the show’s fundamentals was to make the emotional reactions real – to really scare, and really make the audience laugh - but only to enjoyably scare, rather than potentially traumatize younger viewers or allow the show to be replicated to bad effect on playgrounds around the country. Doctor Who had always been a family show, but towards the end of its time in the 80s, and certainly over the intervening two decades, it had become very much more a ‘cult’ show, kept alive in the memories of its fans. Davies determined to bring families back together on a Saturday night, on sofas, behind sofas, and even drawn in from doorways on their way somewhere else, to give Doctor Who another chance to wow them. With a skill John Nathan-Turner would have cut off at least three body parts for, Davies managed to make Doctor Who news in a way unparalleled in the show’s history, even during Dalekmania. He lied, he hinted, he dangled and he played fans and the media alike, to turn Doctor Who into watercooler TV, did-you-see and what-do-you-think TV. In essence, he took a niche, cult show and made it absolutely mainstream, ensuring it had the appeal to seek out bigger, broader audiences both at home and abroad. So – what did RTD ever do for us? He made Doctor Who viable in the 21st century. He made it bold, and serious, and funny, and respected in the TV world, while staying true to the core values of the show, taking it mainstream and fixing the issues that made people remember it in a negative light. He made Doctor Who possible, he made it heartbreaking and he made it, above all, cool. Russell T Davies is often accused of the ‘soapification’ of a great sci-fi show. That misses the point utterly. What he did was actually the reverse – he ‘geekified’ the soap-watching world, and put Doctor Who on a footing with cool classics like Buffy The Vampire Slayer and the Star Trek worlds. He revealed to the world just how hard Doctor Who could punch when it was done well, and the world sat up and took notice as a result.